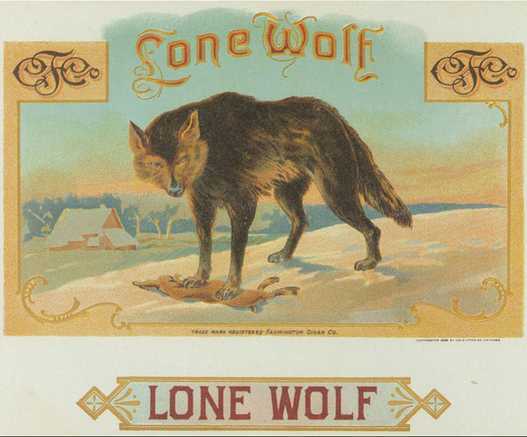 Is Being A “Lone Wolf” Ruining Your Online Marketing Efforts? I have a dirty little secret. I love reality TV shows – especially ones that are centered on small businesses! While most of these shows make for very entertaining television, they can also offer some surprising insights and some interesting business lessons for entrepreneurs like you and me. Right now here in the US there is a plethora of “real world” television shows where camera crews tag along behind industry experts as they seek to “rescue” failing businesses – everything from bars to hair salons and restaurants to hotels along with any number of other local business enterprises. The primary factor for the company failing of course in almost all of these shows (or at least in the ones that get on-air) is the owner’s bad business habits. If you watch long enough you will eventually see the ones where the “host” (the industry guru) ends up almost violently butting heads with a very stubborn or arrogant bar or restaurant owner. And of course these are my very favorite episodes! Sometimes the owner has been in business for decades – struggling to make ends meet from payroll to payroll. Other times, the business is just a few years old and used to be a winner bust has run aground during the recent downturn in the economy. But in any case the situation has gotten worst because the small business owner either from ignorance, ego or pride has refused to ask for any outside help. Often the owner has some special technical skills in the field (like cooking, styling hair, etc.) but they don’t know their business numbers or they don’t understand marketing fundamentals – so they keep making the same mistakes over and over again. To be fair, before writing this post, I got curious and did some background research on each of favorite shows. To my surprise I have found that more than a third of all those small business “contestants” still failed (went out of business) – often before their show episode could even go on air! And the major reason for these failures you might ask – despite all the help they were given? Well it seems after the camera crew packs up and leaves, the owner ignores the advice from the experts and goes right back to repeating the same bad business habits – the ones that got them into trouble in the first place. So eventually, those negative habits and their resulting mistakes overwhelm all their positive efforts – bury the business for good. This is what I call the “lone wolf” syndrome. In business, a lone wolf is an owner who prefers to work alone or who wants absolute control over everything (and often everyone) in their company or place of business. Now wanting to be in control is not automatically a bad thing. Entrepreneurs are naturally determined to do a lot of stuff all by themselves. I guess this is why we all became entrepreneurs and small business in the first place! As entrepreneurs we all have a clear and focused vision of what we want and what we don’t want. And we not scared of going after what we want. The problem with being a lone wolf is that you just can’t grow your business as fast or as far as you would like to. In nature, the lone wolf as a solitary hunter simply can’t capture as many large game animals, as a well organized wolf pack can. One wolf cannot bring down a huge bull moose on its own. So they are more or less trapped forever into hunting rabbits and other smaller game. In business, being a LW can fatally hurt your company. A lone wolf business owner can’t consistently “bring down” those high-level customer accounts or build a steady source of income – without outside advice or expert guidance. This means just like those participates in those reality shows, your bad business habits and smaller customer base will eventually catch up with you. This is especially true when it comes to online marketing. At first, second…maybe even third glance, web marketing can look pretty confusing. Everybody seems to be talking about using SEO, blogging, Facebook, to promote your business. But frankly, how much of online marketing strategies and techniques do you really understand? Do you really know all the nuances of content marketing and business blogging? Do you know how to do simple SEO (search engine optimization) so your website content gets more traffic? Do you fully understand how to use emails to connect with and convert “drive-by” visitors into paying customers? Probably not but if you are like many entrepreneurs, you might have accidentally fallen into a “lone wolf” mindset and way of doing things – struggling unnecessarily to grow your business because we refuse to use any external help. So how do you know if you’re falling prey to the Lone Wolf Syndrome? Failing to listen to common sense advice from experts. Poor marketing habits like inefficiency and disorganization can be fatal to a small company. Yet all too often small business people poo-poo well-meaning advice and training from outside experts and specialists. This is natural since most entrepreneurs are determined to “go their own way.” But marching to the beat of your own drum can lead to disaster if you’re careful. Putting marketing on the back-burner. Let’s face facts in today’s economy you might be too busy earning a living to market and grow your business. But this is almost always a business-ender. This is because business people frequently get confused about the difference between selling and marketing. Selling is what you do once you are in front of a customer – marketing is the process that gets you in front of that customer. So without marketing, you won’t get the chance to sell anything to anyone! Sadly this is a very, very common mistake. People naturally think that the best way to promote their business or products to potential customers is to talk about themselves and their company online. Nope. The best way to get the attention of anyone is to give the other person the floor and let them talk about themselves! Listen to what people are saying about products and services like yours and join in those “conversations” by writing about their pains and problems. Not starting small and testing first. One the biggest mistakes all those small business owners make in these shows is jumping in with both feet – without looking first. They will start up a bar, restaurant or hotel just because they have seen others do well at it. Some put their homes up as collateral, cash out their 401Ks or borrow heavily from their family and friends – everything to go into the business like one roll of the dice. And people say Las Vegas is the gambling capital! But I have seen the same thing happen online – people will plunk down thousands in hard cash money for this or that online marketing course just because some internet marketing “guru” says they are making a killing with it. Just because someone has done well using a particular type of marketing, doesn’t mean you will do as well. Everyone has their one personal marketing DNA, and if you mismatch your promotions to your personality, you will probably fail. This one is a “hidden” danger. Too often small business owners don’t really understand what success looks like! They say they want more “traffic” or they think they need more social media friends, fans and followers or to be ranked high in Google. But when it comes down to real money metrics like leads, in-store traffic and sales, they don’t have a concrete number in mind! They don’t know what numbers they have to have in order to break-even, let alone be profitable. get more sales and clients. Anything else is a distraction. Know the goals you need to hit for each one of these and track your results. Not getting the results you need? DO SOMETHING DIFFERENT… until the results get better. Now that you know a bit more about “Lone Wolf Syndrome” and what causes it, I hope you will be ready for it if it ever creeps up on you.